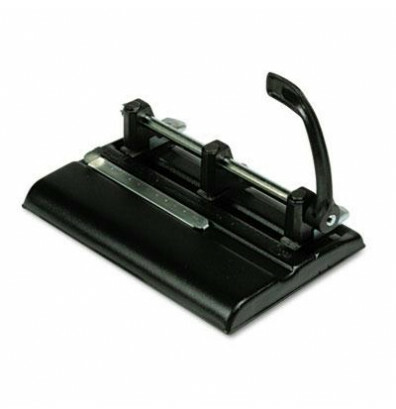 Heavy-duty, three-hole punch features adjustable punch heads for different spacing between holes and are interchangeable for different size holes. Punch drills 9/32" holes in up to 40 sheets of 20 lb. paper. Use replacement head No. 1025. Three-hole punch also offers an adjustable center.